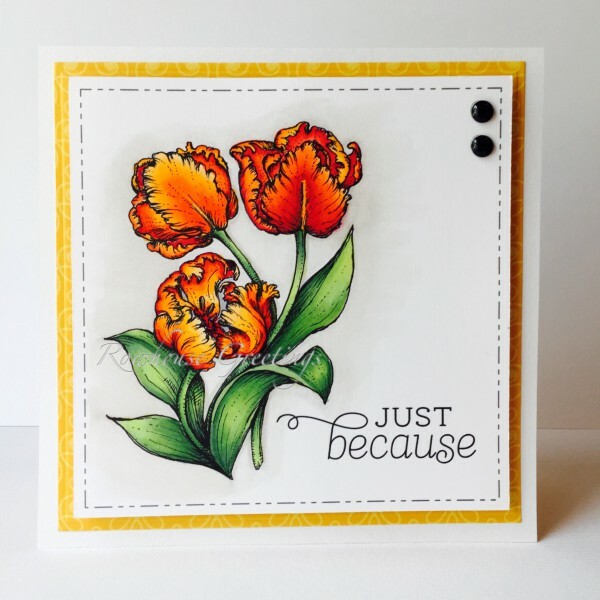 Just a post and run to show off another card, this time featuring Power Poppy’s Tulips digital stamp. 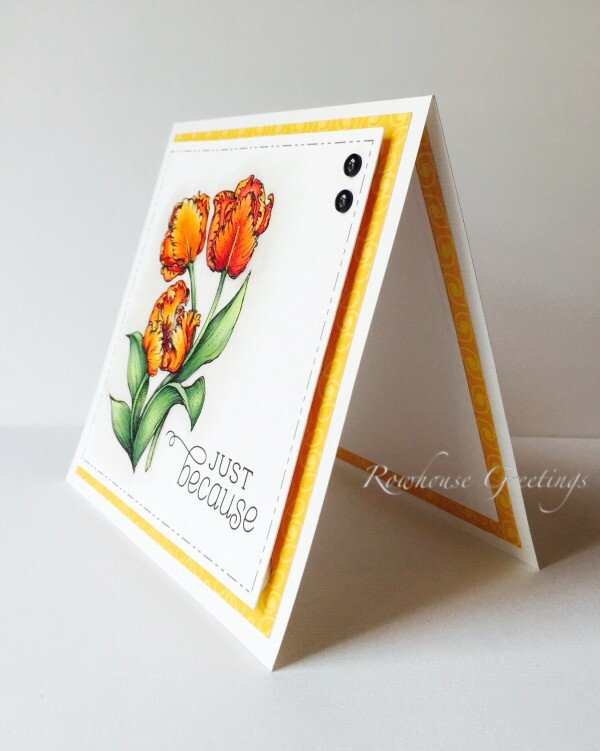 The digital stamp and stitched border were laid out using Silhouette Studio Designer Edition and then cut using my Silhouette Cameo. 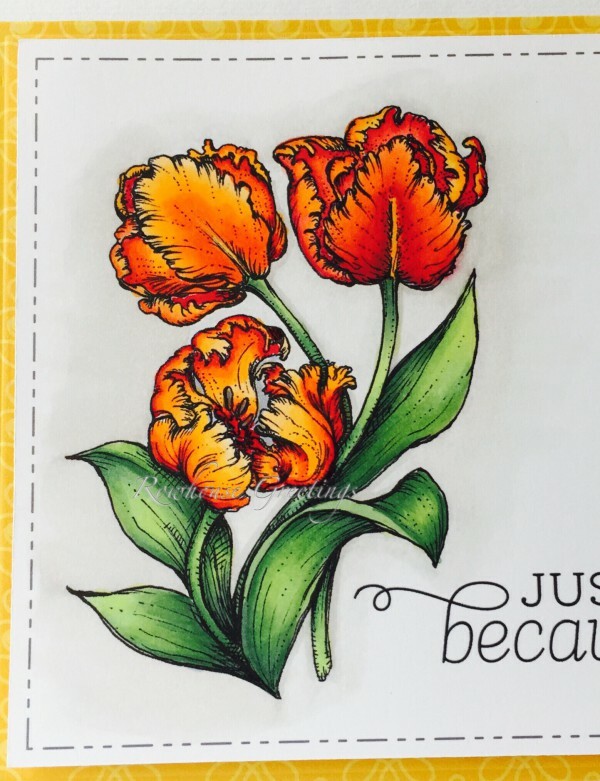 What a beautiful card, Nancy! Stunning colors, and I love the “stitching” border using your Silhouette! Hugs!